Television actor Renato Rizzuti's first children's book is a throwback to early 20th century juvenile fiction, when the world knew rhymes from books, not rap, from Dr. Seuss, not Dr. Dre. The stories, told in verse, switch from teaching kids about why zebras have stripes to accepting racial equality amongst peers. Each tale's length is concise enough for a young one's short attention span. 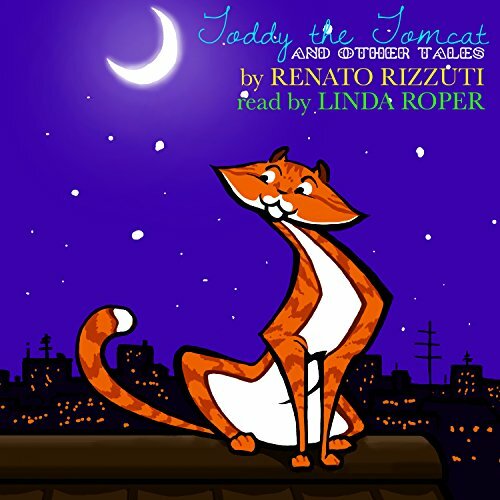 What did you love best about Toddy the Tomcat and Other Tales? it seemed so personal, so soothing- this was a "purring" vocal delivery, a pun, but actually an apt description- this voice was so expressive and I smiled throughout, a perfect delivery for this material. Which character – as performed by Linda Roper – was your favorite? I liked "Mortadella", because I had never heard of this type of food, I had to go look it up, so I learned something. I also liked the narrator's pronunciation and humor in "Bob the Bear". This was a very pleasing voice and delivery!